Tour: 1 hour, and 1/2 including climb. 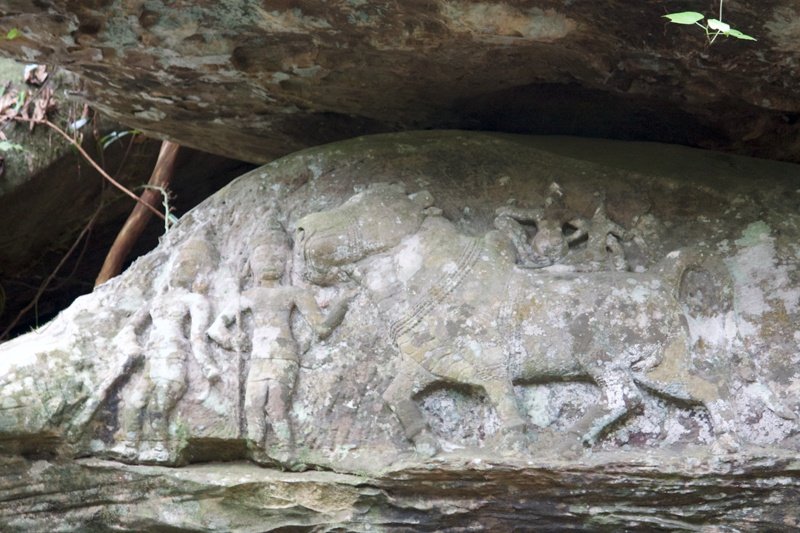 Tour to combine with a visit to Banteay Srei or to the nearby Phnom Kulen Hills. 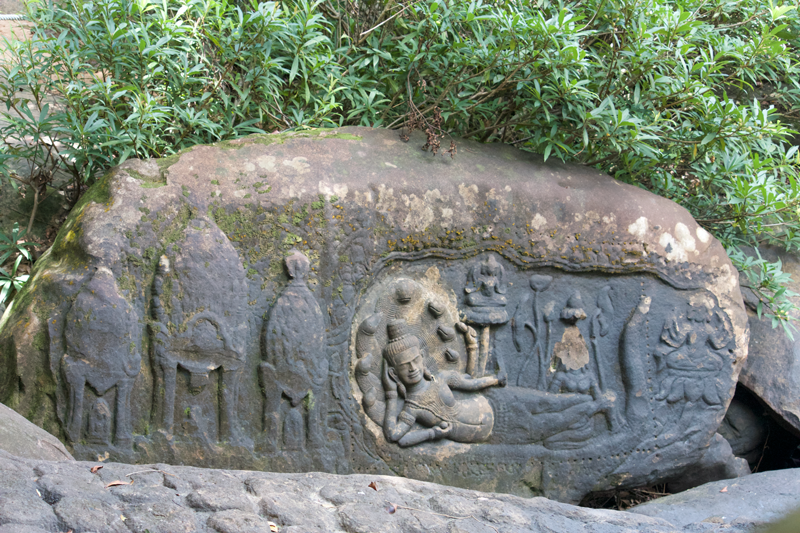 Known in English as the River of 1,000 Lingas, Kbal Spean has hundreds of Brahmanist yoni and lingas which have been carved into the stone riverbed of Steung Siem Reap. 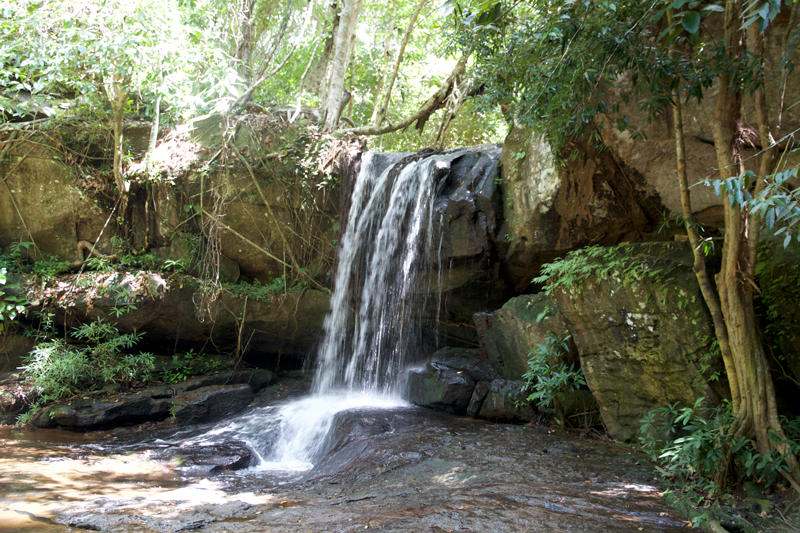 The river is said to represent the life force which joins the phallic and feminine carvings creating blessed water. Beautiful walk in a forested area. Visit during the rainy season is recommended. 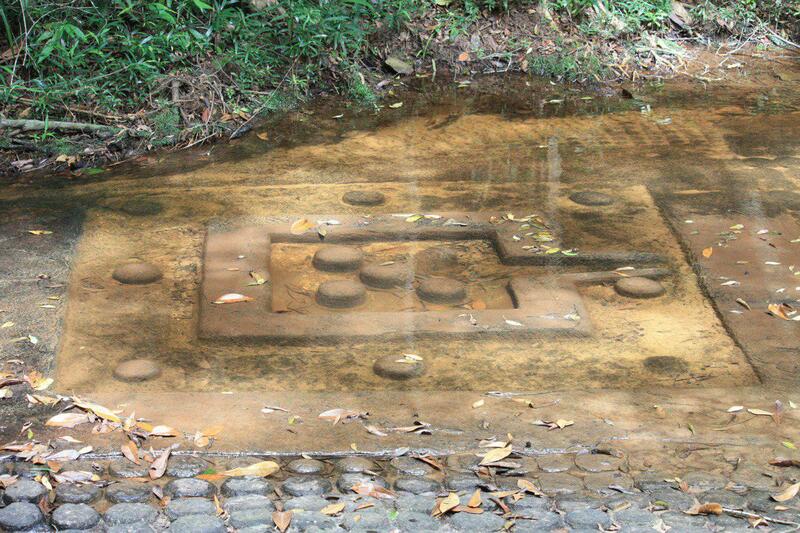 Do not miss: the river bed carved in shape of lingas, square yonis with five lingas disposed as quincunx. Carving of Vishnu lying on a snake Ananta, with Lakshmi holding the god’s leg and Brahma sitting on lots flower emerging from Vishnu’s navel.